If you see something that interests you, ﻿call or email us. 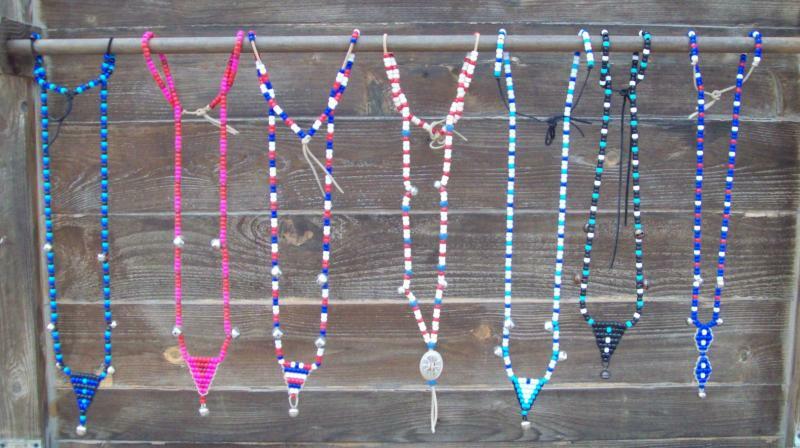 The items pictured below are in-stock; you can purchase them or commission similar items to fit your specific need. We ship via USPS, UPS, and FedEx and charge only the actual shipping and insurance cost. We accept cash, cashier's checks, and PayPal. 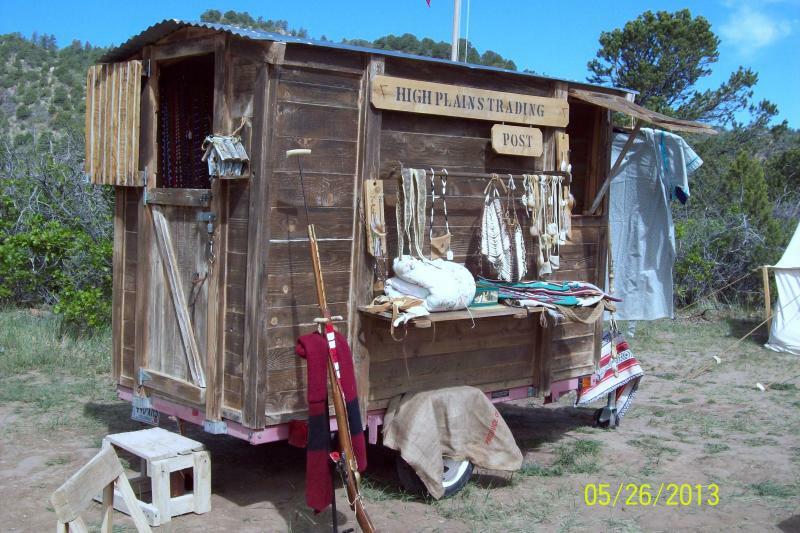 Below are product highlights offered at the Trading Post. 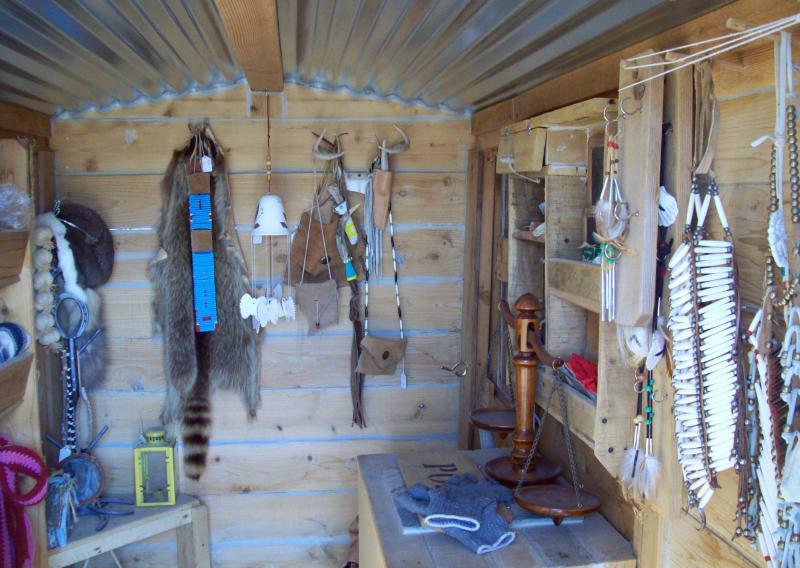 Even more one-of-a-kind Fur Trade, Western, and native jewelry, accoutrements, and decor are shelved in the nooks and crannies of the Trading Post. Contact us if you have a specific idea; we may have it or can create it. Follow the link below to begin taking charge of your physical and emotional well-being and the well-being of your loved ones. Feel the energy! Relish the control! Visit our Blog and Contact us if you have any questions. We're passionate about sharing our story and the difference Young Living essential oils has made in our life at High Plains. 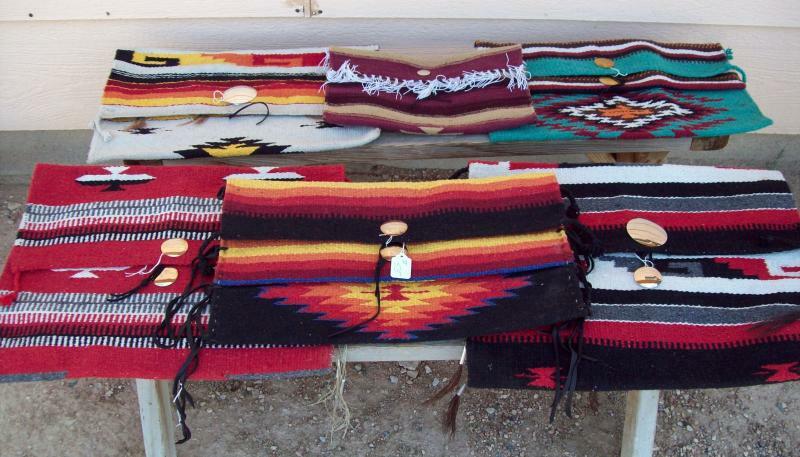 Super nice alpaca blankets, lightly skirted. Each bag is all the prime fleece from the back and sides of the alpaca. Staple lengths are 2 - 3 inches or more as noted, perfect to spin, felt, dye, card, and blend. 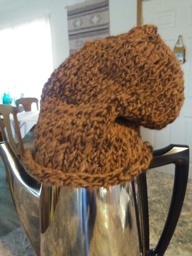 One-of-a-kind, hand-crafted alpaca and silk hat, adult size. 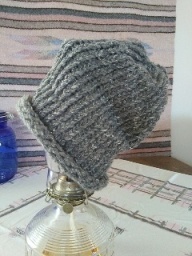 Made from our home-spun yarn and hand-knitted at High Plains. 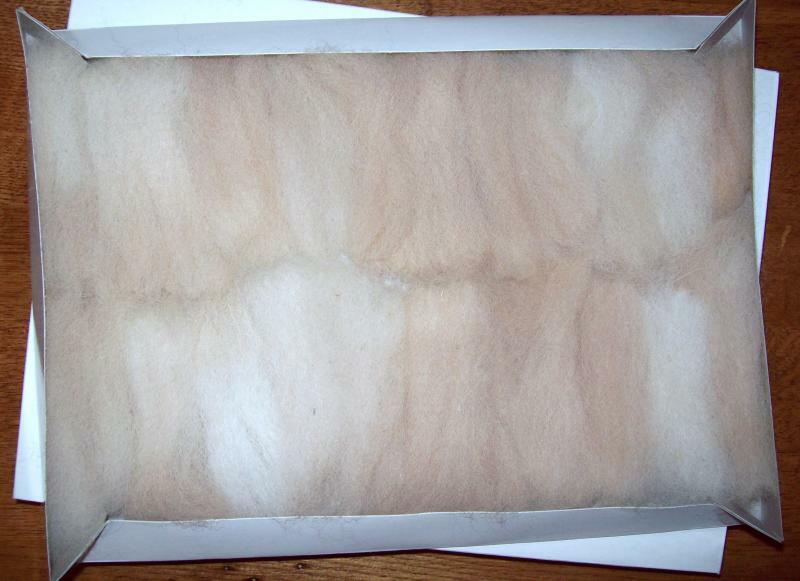 Colors are gray (alpaca) and white (silk). $45 includes first-class mailing to anywhere in the Continental U.S. Local purchase includes a visit with the alpacas that contributed their fleece to the hat. We hand-craft these ready-to-spin rolags from the blankets of our alpacas raised and professionally sheared right here at High Plains. Our fleece never leaves High Plains for processing through a machine. Enjoy your freedom from long, unruly rovings! Rolags are approx. 10" long and 5 to 7 rolags per oz. Mix and match your colors! Blend your fibers! Coming Attractions: bigger and fluffier rologs and batts. Meet Our Alpacas on-line or contact us to arrange a personal meet-and- greet with the appealing animals that produce this fleece. Meet Our Alpacas on-line or contact us to arrange a personal meet-and- greet with the appealing animals that produce this fleece. 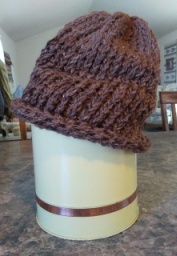 Coming Attraction: home-spun yarn. Our feathered friends deserve a warm and cozy nest! Hang this basket of alpaca fleece where nesting birds can pull the fleece and use it to line their nests. Made entirely of re-purposed materials. $5. New Design! Larger than the basket pictured and can be re-filled with more alpaca fleece. $8. This service has generated a lot of interest. 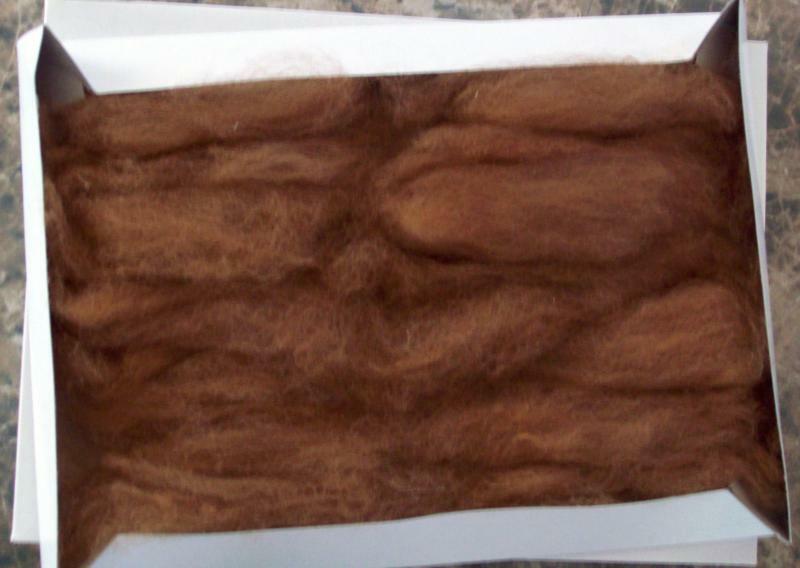 Want alpaca fleece for your fiber art? 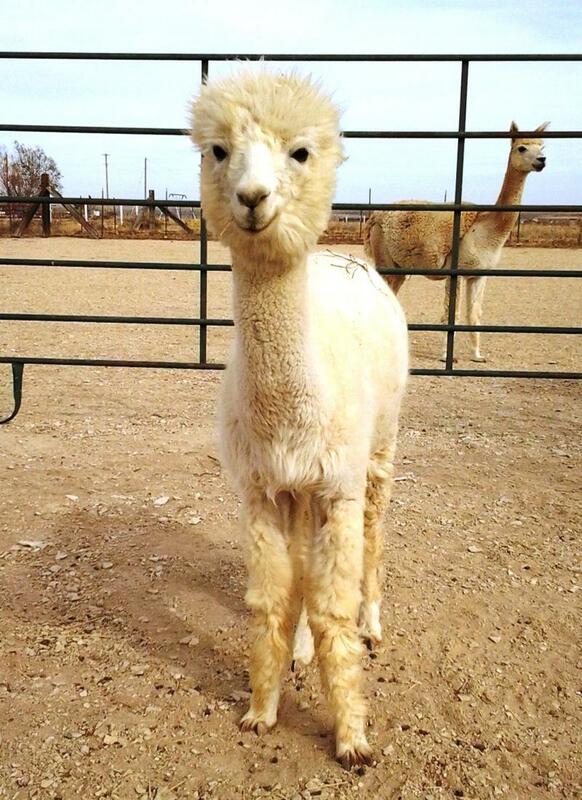 Don't have an alpaca? Problem solved! For a small monthly lease payment, all the fleece from the alpaca of your choosing is yours. Come to High Plains and visit your fleece! Watch your fleece grow! 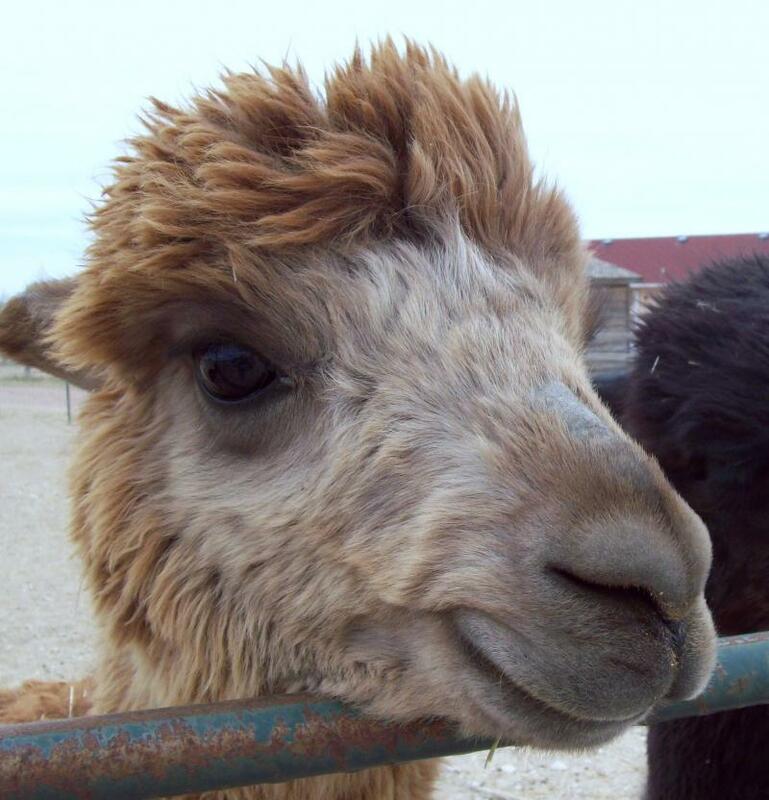 Help care for the alpaca growing your fleece and fall in love with these amazing animals! How the Program Works: For $15 per month, you receive all the fleece from the alpaca you choose. Come on shearing day and leave with your bags of fleece! Or we'll mail them to you. Local lessees can come to High Plains and visit your fleece. Distant lessees will receive email and photo updates from the alpaca growing your fleece. You can experience the annual journey of the fleece in your fiber art!Shearing Day at High Plains is around Memorial Day weekend every year. Enthusiasts who want the full fleece experience will contact us in June to lease the fleece of your choice for the upcoming year. Meet Our Alpacas to select your fleece. Don't delay! The soap we make each fall cleans better than many commercial soaps specially formulated for dirty, greasy hands. A few soap chips thoroughly clean and season cast iron cookware in one easy step. Lard, lye, borax, and water are combined during a 2-day cook over an open fire in our tipi. 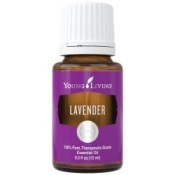 This year's batch has a mild lavender fragrance. $4 for a 4-ounce bar. Smaller bars are $3 and $2. 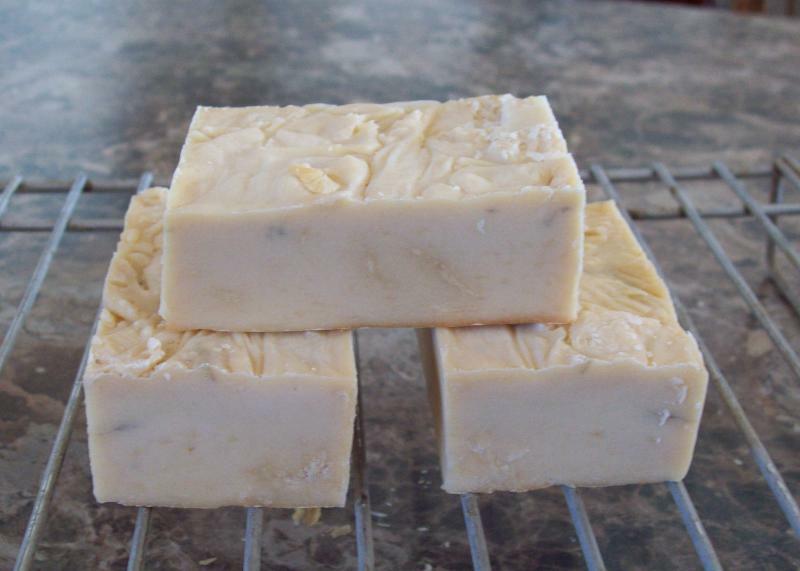 November is Soap-Making Month; contact us for availability. These smaller smudge sticks of Fringed Mountain Sage burn 2 to 3 hours without the struggle to snuff out a big stick. The scent is rich and earthy. On a quiet, peaceful, late summer day we harvest the sage and hand-wrap it on-site. Drying time is about 2 weeks. We like to burn these smudge sticks mid-winter to freshen the house and raise our spirits. See the finished product in our Blog. $4 each. 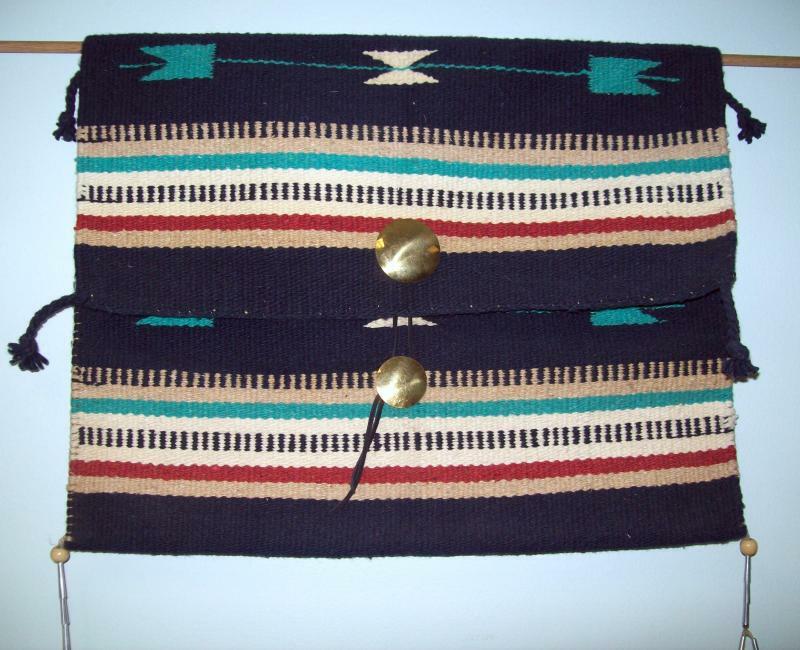 Tipi bags hand-stitched from colorful and durable saddle blankets and rugs. 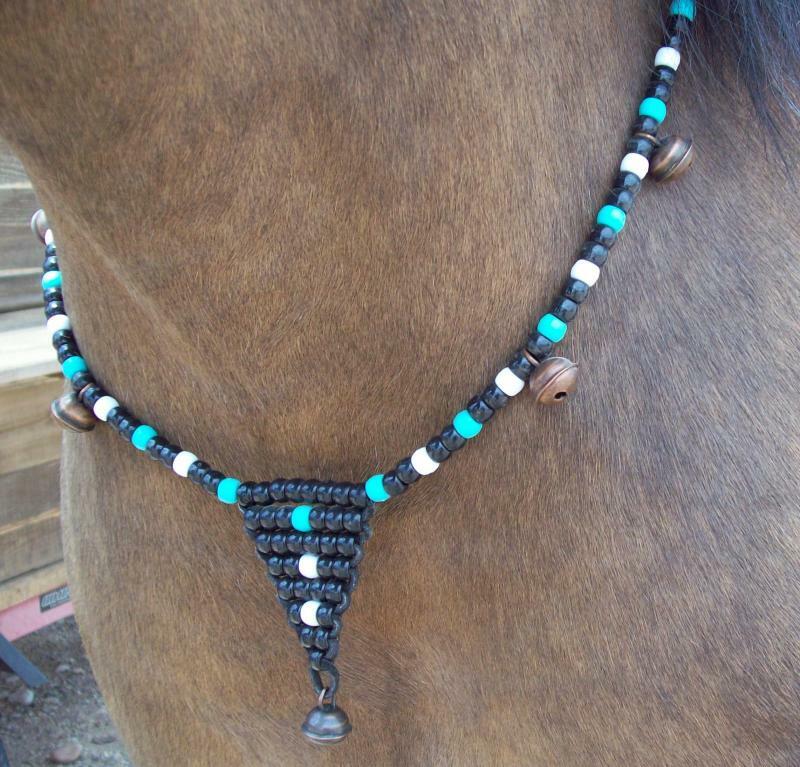 Stitched with imitation sinew and decorated with silver or brass conchos and tin cones, glass and wood beads, horse hair, fringes, and feathers. Small bags are $25. Large bags have 1, 2, or 3 inner compartments and are $45. 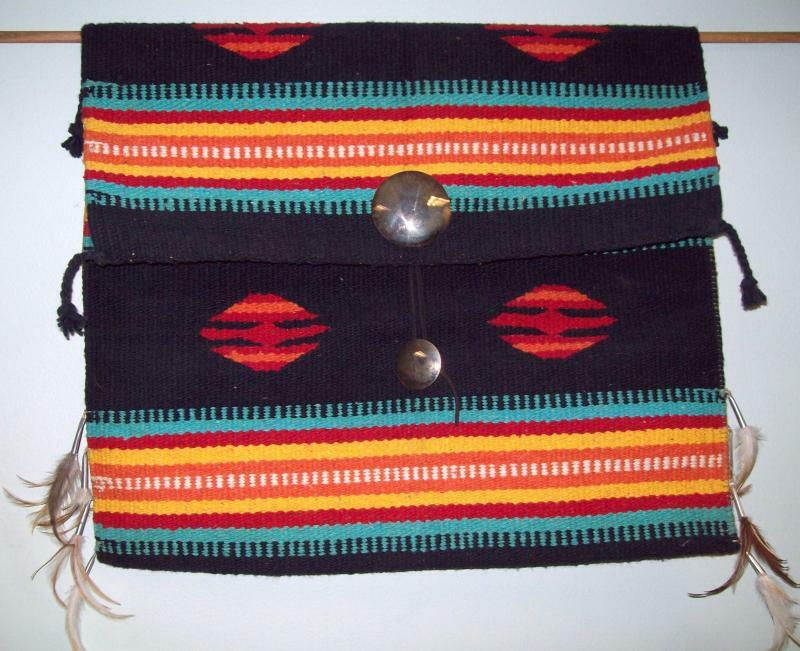 All bags can be used as wall hangings, pillows, saddle bags, laptop cases, diaper bags, travel bags, jewelry bags, camping, and lots of other practical and decorative uses. Alpaca manure ("beans") is excellent fertilizer. 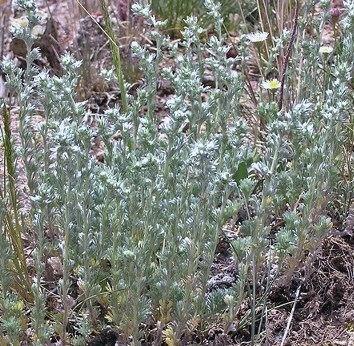 It doesn't burn, is high in nitrogen and potassium, and is small. 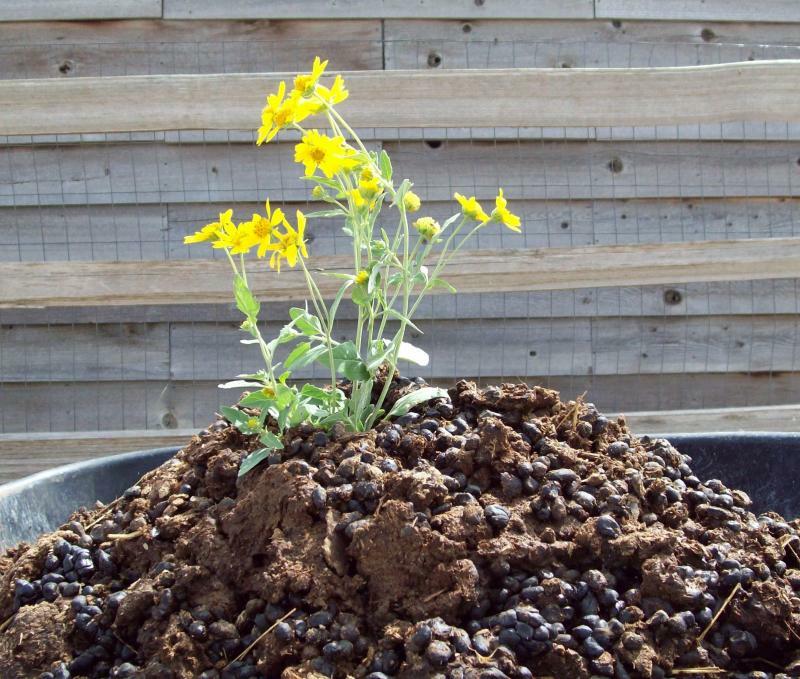 'Paca poo can be mixed into your soil, sprinkled on top or in a hole, or composted with other ingredients. Because alpacas have 3 stomachs, their manure contains virtually no weeds or weed seeds. 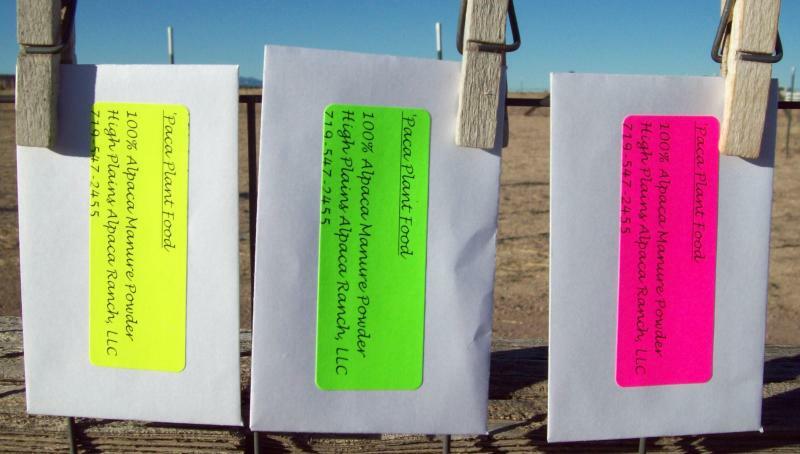 'Paca poo is available as fast as it dries at $4 per standard coffee can or $8 per 5-gallon bucket or grain bag. Your local truckbed or trailer-load is $40 and we'll load you out for $10. We've heard that beans deter deer from eating trees and shrubs. We think it also repels the rabbits who visit our yard. One customer reported that her housecat no longer digs in her houseplants. Easy to apply all-natural liquid fertilizer, made from Pepe's (and his brothers') beans. Just pour it around the base of your shrubs, plants, trees, and flowers. 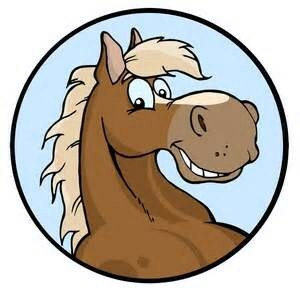 We have a pile of aged, clean, weed-free horse manure free for the taking. Bring your truck, trailer, or containers and shovel. We'll load your truck or trailer for $10. Contact us to order an in-stock item, inquire about custom work, or describe your specific idea for your one-of-a-kind treasure. "Ray and Lynn, the package arrived about an hour ago. Both the package and the contents are in good shape. Thanks to both of you. It is a pleasure doing business with such honest people. I was very comfortable with the transaction right from the start. Thanks for the business cards. I will be checking out your website. If I am fortunate enough to bag a few squirrels this season I will try to remember to send you some pics. Thanks again."